In our monthly Rise and Fall column we look back at crowdfunded gadgets that reached their funding goal. Months or year later, how are they doing? If they’ve shipped to backers, are they still supporting the gadget? If they haven’t shipped, why haven’t they met their shipping deadline? We hope this column will give us all a place to understand. What’s today’s gadget and what does it do? 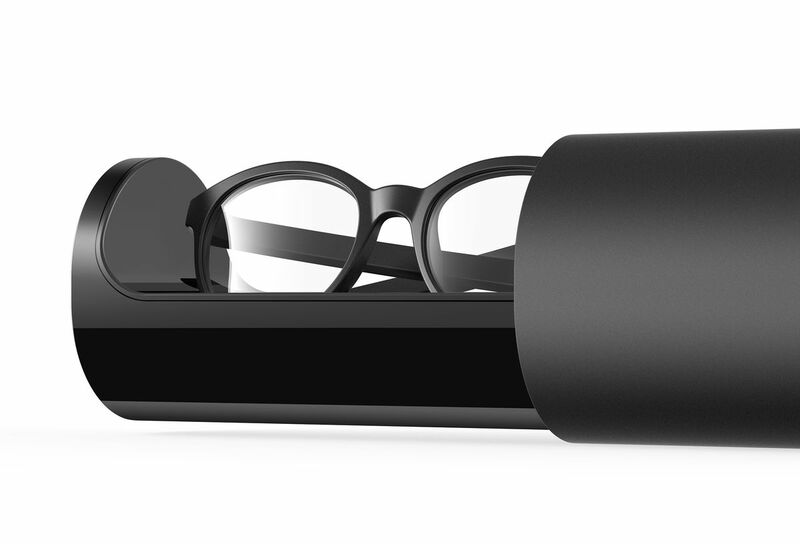 Vue is a pair of smart glasses that launched on Kickstarter in October 2016 with a $50,000 funding goal. It surpassed that goal and ultimately raised more than $2 million from backers. Since then, the company has raised an additional million dollars through preorders. The glasses are supposed to play and control music through bone conduction speakers, track your activity, show notifications, and allow you to take phone calls. They pair with a companion app over Bluetooth and charge through a case. Essentially, they’re an all-in-one device that promises to act like a combination of wireless earbuds, a fitness tracker, and a smartwatch. What happened after funding? Did it ship? The company planned to ship by July 2017, but nothing has shipped yet. Aaron Rowley, co-founder at Vue, tells me the company is hoping to send the first 1,000 units this month. That’s a small number considering that Vue owes around 20,000 units. Still, Rowley says all the components for the glasses are ordered; the development work is done; the production equipment is in place; and the team is just optimizing production. The company continuously updates its Kickstarter page with its status. The last dispatch came out on September 30th, but the team appears to post at least once a month. Rowley says he posts most of the updates and responds to all the backer inquiries. “There are still a ton of people on the campaign who are rightfully upset that it’s delayed, but I think we also try to communicate as clearly as we can — what the problems are, how we’re going to resolve them, and what we learned. I think that’s helped keep people enthused even this late into the project,” he says. Those updates can be emotionally taxing, however, even if they are useful to the community. While most of the conversations have been productive, some can be particularly aggressive and hurtful. Most backers appear to be recently complaining about their eye prescription changing since backing the campaign in 2016. At the same time, people seem to appreciate the company’s updates. Some backers even defend Vue because they have a semblance of an idea of where the company’s at with these updates. People are still upset, of course, and losing hope. What does the company have to say for itself? Rowley says the company “underestimated the complexity of making the product,” and that “a bunch of different paper cuts” led to the delays. The team didn’t have enough hardware and manufacturing experience to ship on time. “Every four months or so there was a new big thing that we had to overcome,” he says. He and the team appreciate the backers, though, who have stuck through, even with delays.